Find a outpatient drug treatment program that works for you! Outpatient drug treatment is a type of treatment in which the individual receives counseling and other services on a day to day or weekly basis without remaining in the treatment facility for the duration of the program. Unlike residential or inpatient treatment programs, outpatient treatment programs do not provide housing for the addict during the treatment process. The focus remains on helping an individual to remain drug or alcohol free and to abstain from using these substances, however such treatment is provided in a far less constricting manner than inpatient treatment. Some outpatient drug treatment programs will have the addict come in regularly throughout the week to take part in education sessions or counseling for a few hours while others may provide full day treatment that lasts from early morning until early evening. The primary difference between outpatient drug treatment and inpatient drug treatment is that around the clock monitoring and care is not provided at outpatient treatment centers. Although the level of care and monitoring that is provided at outpatient treatment programs does differ significantly based on the type of drug treatment program that is provided by a facility, even outpatient drug treatment programs can provide an intense regimen of treatment to aid in the recovery of addiction. All day outpatient treatment programs provide nearly as much care, monitoring and supervision as an inpatient treatment program except that at the end of the day, the addict returns to their own place of residence. Outpatient drug treatment centers provide a range of services that are aimed at helping an individual to learn ways to overcome their addiction to drugs or alcohol. Various types of therapy are offered at outpatient drug treatment programs including individual and group counseling sessions, women’s only groups or men’s only groups to help focus on unique situations to each gender, and spiritual groups. Individual counseling at outpatient drug treatment is geared at helping the individual to work through private matters with the guidance of the therapist whereas group counseling sessions provide a place for addicts and their peers to work together to solve their addiction problems, find hope and ultimately recover. Education is provided to help an addict learn about their addiction, the consequences of their addiction and also how to cope with their addiction. Drug and alcohol education is also provided to families of those in outpatient drug treatment programs to help repair broken or damaged relationships that have resulted from a loved one’s addiction. Patients are taught new life skills that can help them to safely and effectively reintegrate into society post addict. Many outpatient drug treatment centers also provide mental health treatment and specialized treatment for dually diagnosed individuals. Most use drug screenings to help them understand the level of an individual’s addiction and also to monitor progress and alert counselors and therapists when a relapse has occurred. Additionally, many outpatient drug treatment programs provide pharmacological treatment for addiction such as Suboxone, Methadone or other medication based treatments for addiction. Outpatient treatment is recommended for individuals who have a low risk of relapse and who are not a severe danger to themselves or others. Individuals who are addicted to drugs that are extremely dangerous such as heroin, methamphetamine or various prescription medications are most often suited for inpatient drug treatment. An individual who has a minimal risk or tendency to relapse is most suited for outpatient drug treatment. The more relaxed atmosphere of outpatient treatment lends an excellent opportunity for individuals who have young children or who are the sole providers for their families. When inpatient drug treatment is too constricting and does not allow for an individual to live with their family during the program, outpatient treatment can provide a more suitable option allowing an individual to still get the drug treatment that they need but without having to quit their job, take a leave of absence or be away from their family for a prolonged period of time. How much money can you afford to spend on treatment? 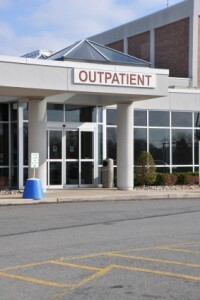 In most cases, outpatient drug treatment is far less costly than inpatient treatment. The primary reason for the significant difference in price between the two types of treatment is that outpatient treatment centers do not provide housing and there is significantly less treatment and therapy provided in outpatient treatment. If you choose inpatient treatment over an outpatient program, who will support your family and what type of support will you need once you exit the treatment program? Many inpatient treatment centers provide help or additional services following the treatment program. If you have a family to support and feel that you must attend inpatient treatment, you will want to consider who will care for your family and if there will be any financial help for them. Outpatient drug treatment takes time and commitment as you will not be in a facility around the clock so are you willing to put forth the effort to recover with such a program? The primary difference between inpatient treatment and outpatient treatment is that you are not under constant supervision when you are in an outpatient treatment program which means that at the end of the day when you go home, the only person to keep you from using drugs is YOU! How severe is your individual condition? If you suffer from a severe condition such that is a danger to yourself or to others, it is likely that you should seek treatment at an inpatient treatment facility. However, if you suffer from a minor addiction or if your addiction is not accompanied by any severe medical conditions than outpatient treatment can be a suitable option.